Beachy images and the sound of waves crashing against the dampened sand. The smell of sweet sap the trees emit as soon as I walk out the door. The sweet kiss of sun that tingles on my forehead, cheeks and limbs. Lush green foliage dominating my gaze. Sparrows hopping along the sidewalk, glancing at me, then darting away when I step closer. The sound mourning doves make when they fly. Fluffy white clouds that look like cotton, ready to be hand-picked. The feel of clammy palms and feet. The crisp taste of ice cold lemonade guzzling down my throat. A droplet of water leaking down a water bottle that's starting to simmer in the sun. Distant crickets and frogs humming in union at night, making one big living breathing thing. The smell of my deep coral red miniature rose petals even after they've died and dried. The taste of juicy garlic-battered crab meat exploding in my mouth. A blast of cool air in an otherwise stifling hot car. My father, drinking home-made lemon water from a used seltzer bottle in one sitting. Light, airy clothes that breathe with me. Air conditioned nights, cuddled under a cozy blanket like a cocoon. The sugary-tangy flavor of a fresh batch of strawberries. Golden honey, fresh from the farmers market. Mother, wearing her big sunglasses with a quirky smile. Friends, gathering and laughing, watching Pokémon battles while eating chocolate chip mint cookies. Tangling my hands in my boyfriend's hair and getting lost in his blue-grey eyes, forgetting time. Going on the swings, smiling as wide as my face will allow, acting like I'm five again. This, all this and more, Summer, is why I love you. Do you agree? 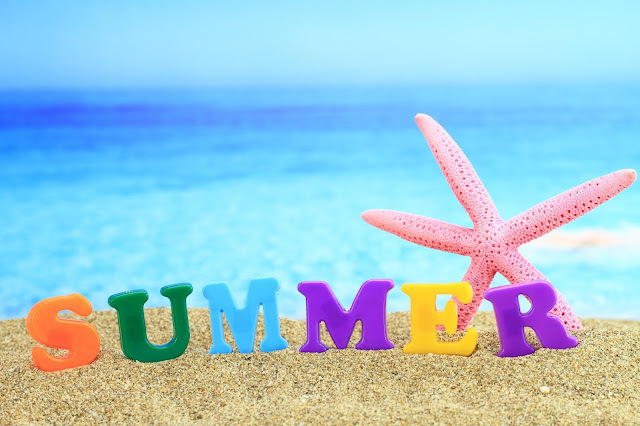 Tell me why you love summer in the comments below. As always, thanks for viewing. Life update: beaches, birthday and carrots oh my!